Hang on to Your Stars Bracelet. 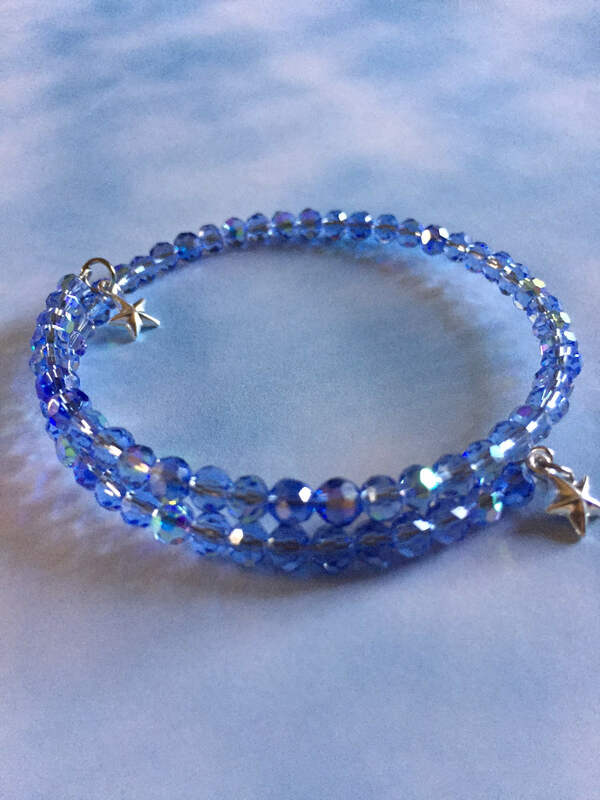 High quality handcrafted light blue sky crystal bracelet adorned by adorable star charms. Flexible, memory wire holds it’s shape and is easy on and off. One size fits most.